Help your family and friends get to know their health. Choose the amount and customize your gift card with a personal message. Once you're done, you can print your gift card or email your gifts to get there fast. How can I purchase an Ulta Lab Tests gift card? An Ulta Lab Tests gift card can be purchased at an Ulta Lab Tests website with a credit or debit card by completing the online order form and following the directions provided. Ulta Lab Tests offers the following Gift Card denominations from $25 to $1,000. Can I buy an Ulta Lab Tests gift card online and send it to someone else? Yes. An Ulta Lab Tests gift card can be e-mailed to you or directly to the recipient of your choice. However, residents of the states of New Jersey, New York or Rhode Island are not eligible to use an Ulta Lab Tests gift card due to state law. Security Information: Are Ulta Lab Tests gift cards valid if purchased anywhere online other than UltaLabTests.com, such as a third-party auction web site? No, the only source to purchase Ulta Lab Tests gift cards is from an Ulta Lab Tests website. Ulta Lab Tests is not responsible for honoring invalid gift cards. Does the Ulta Lab Tests gift card expire or have dormancy fees? No. It does not expire and does not devalue over time. Can I replace a lost or stolen Ulta Lab Tests gift card? The purchaser of the Ulta Lab Tests gift card will always have access to the electronic gift card until it has been redeemed. Can I load additional funds on to an existing Ulta Lab Tests gift card? No. An Ulta Lab Tests gift card is not reloadable at this time. However, additional cards may be purchased at any time. What can I purchase with my Ulta Lab Tests gift card, and how do I redeem it? 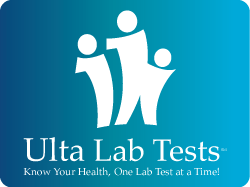 An Ulta Lab Tests gift card may be used for Ulta Lab Tests laboratory testing services only. An Ulta Lab Tests gift card may only be redeemed at an Ulta Lab Tests website.